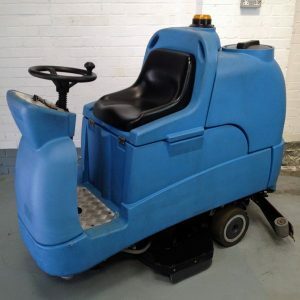 The Numatic TRO 650 Refurbished Ride-On Battery Scrubber Dryer is a user friendly ride-on scrubber dryer . 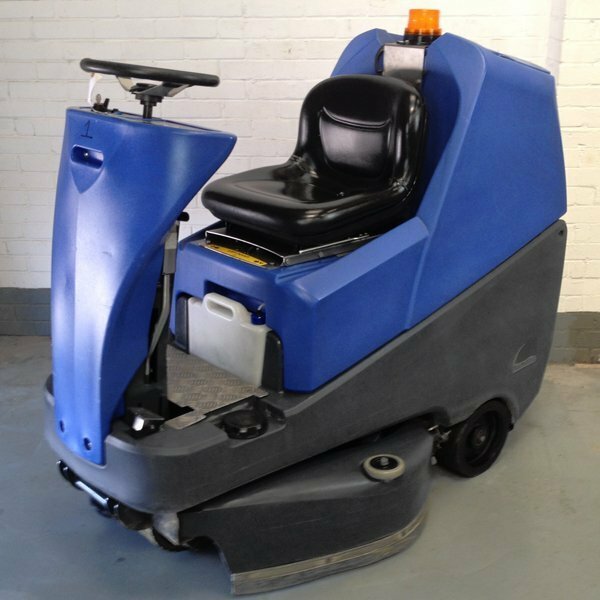 Designed to provide long, simple and reliable service day in day out whatever the environment. 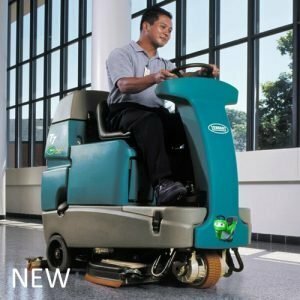 The Numatic TRO 650 Refurbished Ride-On Battery Scrubber Dryer is based on the well established engineering of the Vario model but simplified to provide a truly professional, cost effective workhorse. 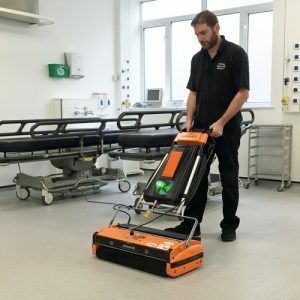 You can vary the water flow and the operating speed to suit a whole host of conditions from big areas lightly soiled to heavy duty scrubbing in more arduous conditions. The TRO 650 is blessed with a commanding operator driving position, front wheel traction drive, a magnificent turning circle and one pass performance that really will ensure you get the standard you want, exactly when you want it… and fast. 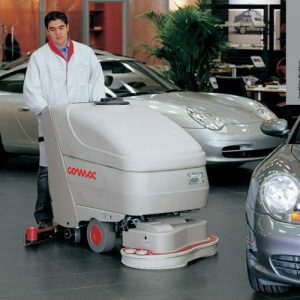 • Twin Brush – 650 twin brush power head cleaning system. • Easy Brush Access – Easy side access to brushes for maintenance. 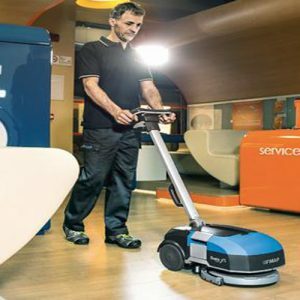 • Controlled Cleaning – Fully adjustable water flow rate. • On-board Charging – Easy and convenient, just plug and go. Fully sealed low maintenance Gel batteries. • Simple Operator Control – Full dashboard control with soft touch Nutronic controls. 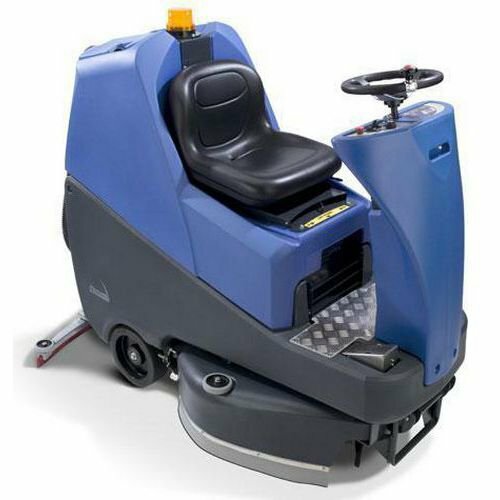 • Safety Features – Emergency stop button, power off removable key, horn button and hazard warning light and built in reversing alarm are just a few of the many safety features included. • Easy Maintenance – Easy access to batteries and fuses for maintenance.